The Loatian War, also known as the Secret War, was fought between the Communist Pathet Lao and the Royal Lao Government between 1953 and 1975. 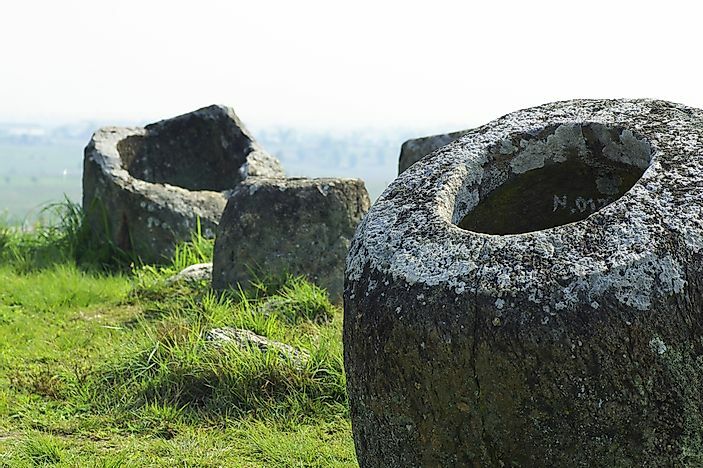 The Plain of Jars features remnants from the Laotian Civil War. The Laotian Civil War was a covert theater among belligerents in the Vietnam War, the Cold War, and the Indochina War lasting from November 9, 1953, up to December 2, 1973. Communists, loyalists, right-wingers, and neutralists fought for the control of Laos. The world’s superpowers, the US and the Soviet Union, took sides in the battle with the Soviet Union fighting alongside the North Vietnamese Army (NVA) and Pathet Lao, while the US troops fought alongside the Kingdom of Laos, Thailand, South Vietnam, Philippines, and Taiwan. The Laotian civil war began soon after the end of WWII which left Laos in political chaos. Though Japan had declared Laos an independent country, the French wanted to restore Laos as its protectorate prompting the organization of guerrilla troops. Princes Phetsarath Rattanavongsa, Souvanna Phouma, and Souphanouvong formed a new Laotian government under a movement of Lao Issara. The movement gained only a few members and lacked support from Viet Minh, the northeast rulers. Other forces occupying Laos were the Chinese troops who withdrew from Laos after negotiations with the French. The French troops began their conquest of Laos using paratroopers, artillery, armored cars, and Spitfire fighter-bombers defeating the Vietnamese troops of the Lao Issara movement, who were forced into exile in Bangkok. The three princes dissolved their movement and joined the various factions of the war. The civil war began on November 9, 1953, when the Pathet Lao began a conflict with the Kingdom of Laos. Several battles were fought in Laos after the civil war began. The battle of Dien Bien Phu fought from March to May between the French Union, and Viet Minh saw the victory of Viet Minh, the signing of the 1954 Geneva Conference and the end of the first Indochina war. The North Vietnamese Army (NVA) launched the second invasion in 1959, constructing the Ho Chi Minh Trail as a supply route for the National Liberation Front (Vietcong) and the NVA to increase the chances of the communist victory. Unresolved disputes between the factions prompted the attack which ended in the North Vietnamese and Pathet Lao victory the Kingdom of Laos lost the battle.The neutralists’ paratroopers under Kong Le staged a coup in 1960 seizing Vientiane, the administrative capital. General Phoumi began a three-day bombing campaign on Vientiane resulting in the union of the neutralists with the Pathet Lao. The period between 1963 and 1973 saw the massive bombardment of Laos by the US. Within this time, several battles including the Battle of Luang Namtha, the battle of Lak Sao and the Battle of Nam Bac. The battle ended on December 2, 1975, after Vientiane fell under Pathet Lao which formed a one the socialist state government that is still in existence. The battle claimed lives of between 20,000 and 70,000 people with losses in property, aircraft, as well as soldiers. The Laotian civil war ended in 1973 after 22 years of fighting leaving Laos with an indelible mark of war. In a period of only nine years, starting from 1964 to 1973, the US dropped more than 2 million tons of ordinances in Laos, bombing missions. Laos is the most heavily bombed nation on earth in history. The bombs were equivalent to a planeload of bombs every 8 minutes 24 hours a day for the duration of the nine years. The bombing was part of the US secret war in Laos in support of the Royal Lao government against the Pathet Lao and trying to stop the traffic along the Ho Chi Minh trail. The bombs destroyed villages and displace thousands of civilians. More than a third of the bombs did not explode, and they are still a threat today.